The National Wine Centre of Australia is set on the edge of Adelaide’s Botanic Gardens with a stunning outlook and unique atmosphere thanks to its eye catching architecture and smooth functionality. An event at this multi-award winning venue offers you the opportunity to present your guests with a superb alternative to a standard venue. Built in 2000 and officially opened in October 2001, the National Wine Centre of Australia’s point of difference not only includes its spectacular geographical position but in addition, the pillar-less event spaces offer natural light, the exceptional award winning catering service and flexibility. 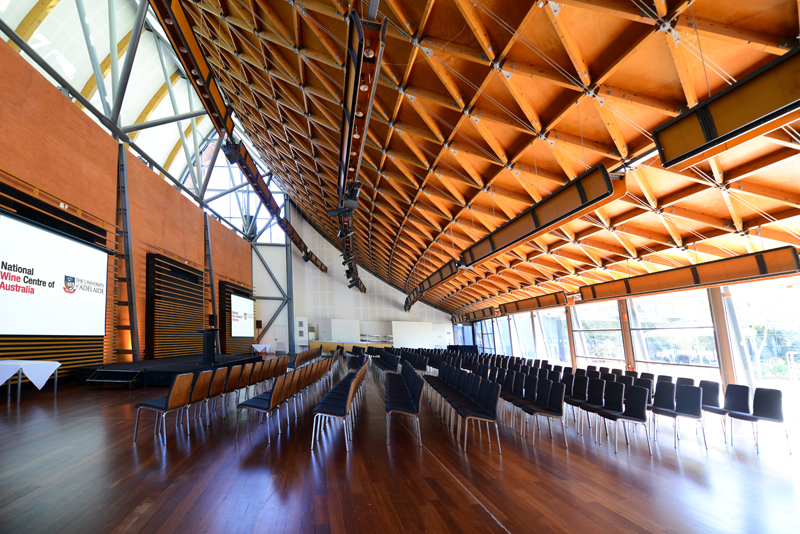 The centre has consistently produced various highly successful functions and events which have contributed to the National Wine Centre’s reputation as one of the leading function centres in Australia. The centre boasts six pillarless function spaces, natural lighting and spectacular architecture. 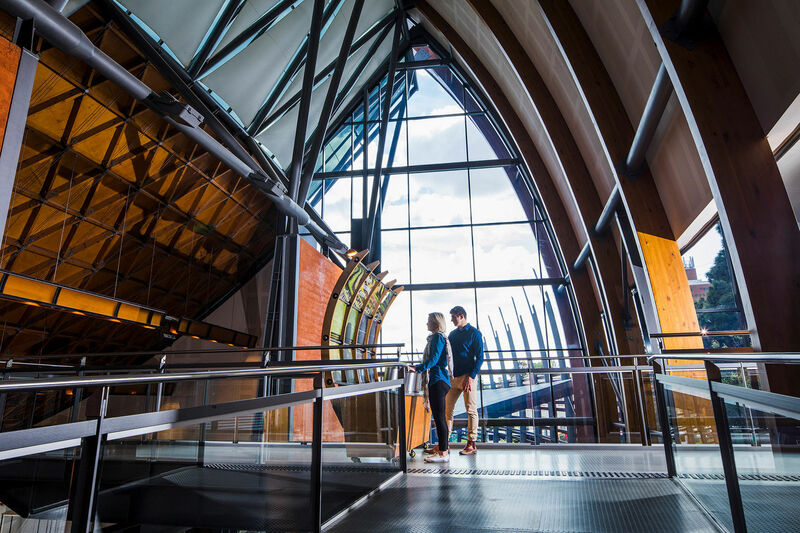 Whilst its external wine barrel inspired architecture is truly eye-catching, the interior of the National Wine Centre of Australia is the real attraction. Rammed red-earth walls, pillarless function rooms with a timber, glass and brushed aluminium finish are striking and create an immediate impression on guests.